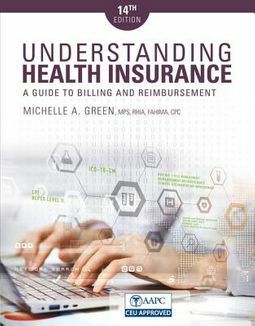 Prepare students for careers in health information management and medical billing and insurance processing with Green's UNDERSTANDING HEALTH INSURANCE, 14E. 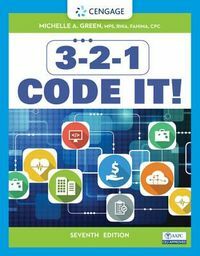 This comprehensive, inviting book presents the latest code sets, coding guidelines, and health plan claims completion instructions. 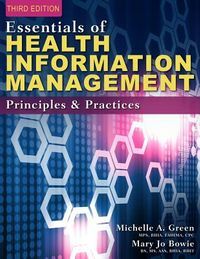 Students examine managed care, legal and regulatory issues, coding systems and compliance, reimbursement, clinical documentation improvement, coding for medical necessity, and common health insurance. Updates address new legislation that impacts health care, including changes to the Affordable Care Act (Obamacare); ICD-10-CM, CPT, and HCPCS level II coding; revenue cycle management; and individual health plans. An accompanying workbook provides application assignments; case studies; review; and CMRS, CPC-P, and CPB mock exams. This edition also offers SimClaim (TM) CMS-1500 claims completion software online.